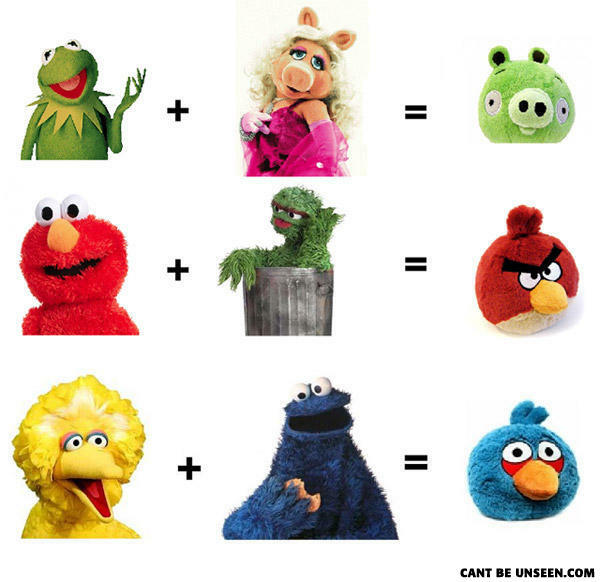 Sesame Street is so successful, they decided to BREED! WAIT! WAIT! Kermit + Miss Piggy = Master Yoda. We all know that. somebody has some 'splainin to do! Why would elmo and the garbage guy have se.... OOOHHHH!!! I get it! Dammit, now I want a cookie. Quick Mr. Henson, sue! Mr. Henson?